Arqiva and Eutelsat have announced a multi-year agreement covering satellite TV capacity for the British Isles. Under the agreement, broadcast infrastructure company Arqiva will have multi-year access to high power Eutelsat transponders that can carry TV and radio services to over 10 million Sky and Freesat households in the UK and Republic of Ireland. The deal will enable Arqiva to meet increasing demand from broadcasters wanting to reach Sky and Freesat homes. According to both companies, the new agreement builds in flexibility for future developments such as an increase in HD channels, which require greater bandwidth. 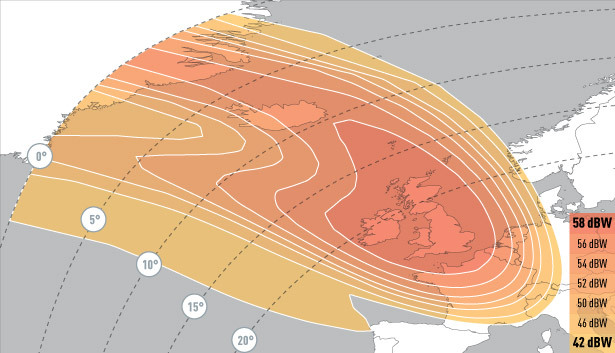 The Eutelsat satellite capacity for UK and Irish broadcasts being made available to Arqiva is on the Astra 2E/F/G satellite cluster at 28 degrees East. Eutelsat acts as a virtual satellite operator on Astra as part of a 2014 deal between Astra owner SES and Eutelsat. "The far-reaching agreement announced today is a new milestone in the longstanding relationship between our two companies. It guarantees Arqiva long-term visibility on its capacity requirements to ensure it can meet demand generated by the solid broadcast dynamic in the UK and the accelerating transition to HDTV."